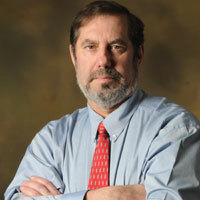 Leo Gerard is international president of the United Steelworkers Union, part of the AFL-CIO. The son of a union miner; Gerard started working at a nickel smelter in Sudbury, Ontario, at age 18, and rose through the union’s ranks to be appointed the seventh international president Feb. 28, 2001. For more information about Gerard, visit usw.org. A Holiday Recipe for Economic Equality—in Just 7 Simple Steps!